On centennial timescales the climate is largely controlled by the composition of the atmosphere. Over the past 150 years, the concentration of greenhouse gases (GHGs) rose to levels that the Earth has not experienced for at least 500,000 years. Atmospheric CO2, the major anthropogenic GHG, increased from 280 parts per million (ppm) before 1850 to 370 ppm today (Etheridge et al. 1996). The increase in atmospheric CO2 was caused by the imbalance between emissions from fossil-fuel combustion and deforestation on the one hand and uptake by the land and oceans on the other. Uptake by land and oceans is driven by biogeochemical processes such as photosynthesis and physical processes such as oceanic circulation. These processes are influenced by climate and atmospheric CO2. There is, therefore, a feedback loop between the climate system and the carbon cycle. Changes in atmospheric CO2 will drive a climate change that will affect the ability of land and oceans to absorb atmospheric CO2. If climate change, induced by enhanced atmospheric CO2 leads to an increase in carbon uptake, the feedback is negative. Conversely, a positive feedback occurs if the climate change leads to a reduction of land and ocean CO2-uptake (Friedlingstein et al. 2003). On annual to decadal timescales, this feedback is negligible. Climate anomalies such as El Niño-Southern Oscillation (ENSO) have a strong impact on land and ocean CO2 fluxes and therefore on atmospheric CO2 (Bousquet et al. 2000), but the induced CO2 anomalies, on the order of a few ppm, are too small to cause appreciable climate feedback. On longer timescales, the story is different. Over the past four glacial cycles (400,000 years), ice-core data show a strong correlation between temperature and atmospheric CO2 (Petit et al. 1999). Atmospheric CO2 fell to 200 ppm during glacial periods and reached 280 ppm during the interglacials. Recent studies based on both conceptual models and careful analyses of leads and lags in paleo-records show that atmospheric CO2 and Antarctic temperature are almost in phase (temperature is believed to precede CO2 by about 100 years), and they both lead major changes in ice sheets by a couple of thousand years (Petit et al. 1999; Shackleton 2000). The change in atmospheric CO2 contributes significantly to glacial-interglacial temperature differ ences. Model studies show that the 80 ppm difference in atmospheric CO2 may explain up to half of the observed temperature change. In the context of future climate change, there is a potentially important coupling between the change in the climate and the functioning of the carbon cycle. Although large uncertainty remains in future climate predictions, several patterns are robust. For a given greenhouse gas emission scenario, models predict global warming ranging from 1.3°C to 4.5°C by the end of the 21st century (Cubasch et al. 2001). Projected warming is generally greater on land than on the ocean. All models predict an increase in global mean precipitation (from 1.3 to 6.8 percent for the SRES A2 scenario), although the spatial pattern is model dependent. Several simulations show an increase in precipitation in the tropics (especially over the oceans) and decreased rainfall in the sub-tropics. Because of changes in precipitation and evaporation, soil moisture, which is a crucial quantity for vegetative activity, may also experience changes. In general, models predict increased soil moisture in high northern latitudes in winter but drier soils in summer. Most models show a decrease in the strength of the meridian circulation caused by a reduced equator-to-pole temperature gradient combined with a precipitation-induced decrease in salinity at high latitudes. These changes in surface temperature, soil moisture, salinity, and ocean circulation are important because they control the major processes driving the land and ocean exchange of CO2 with the atmosphere. On land, biosphere activity, which is mainly driven by the climate, exerts a strong control over the fluxes of water, energy, and CO2. There are, therefore, numerous feedbacks between the land biogeochemistry and the atmosphere. This is not generally the case for the ocean, where biological activity has little control over sea-air fluxes of water and energy. A recent study, however, showed that major blooms of phytoplankton have the potential to greatly reduce light penetration into the ocean, leading to a local enhancement of sea surface temperature (Murtugudde et al. 2002). Land-atmosphere feedbacks operate at different scales, from local (e.g., diurnal coupling between the vegetation and surrounding atmosphere) to continental (e.g., Amazon deforestation) and global (e.g., carbon cycle). An extended review of local-scale feedbacks can be found in Raupach (1998). In the following, I concentrate on global-scale feedbacks caused by changes in atmospheric CO2, climate, or both (Figure 10.1). Figure 10.1. Global feedbacks between the carbon cycle and the climate system. The dashed arrows represent the impact of increased CO2 on plant biogeochemistry and the feedback on the climate system caused by changes in water and energy fluxes. The solid arrows represent the impact of climate change on the land and ocean carbon cycles, the impact on the growth rate of atmospheric CO2, and the feedback on the climate system. (GCM) coupled to a land surface scheme to compare this physiological effect to the standard radiative (GHG) effect in a 2 X CO2 experiment. They showed that a decrease in stomata conductance induces an increase in air temperature, amplifying the changes caused by the radiative effect. In the tropics, this process leads to an additional 0.4°C warming on top of the 1.7°C warming caused by the radiative effect. Shortly after Sellers et al. (1996), Betts et al. (1997) confirmed the stomata feedback but noted a second mechanism that acts in the opposite direction. An increase in CO2 can enhance plant productivity leading to increased leaf biomass and therefore higher plant transpiration. They found that the two effects (decreased stomata conductance and increased leaf biomass) tended to cancel each other, leading to a net effect on surface temperature lower than that reported by Sellers et al. Another potentially important structural feedback that has received little attention is the change in root distribution. Climate change and increase in CO2 have the potential to affect allocation to roots (Friedlingstein et al. 1999), which in turn, affects climate through changes in plant transpiration (Kleidon et al. 2000). Both land and ocean carbon cycles are primarily driven by the state of the climate. Several "offline" carbon cycle studies, driven by but not coupled to the climate, have investigated the impact of future climate changes on the carbon cycle. These generally agree that climate change may reduce the uptake of CO2 by the ocean or the land biosphere. Melillo et al. (1993) performed one of the earliest studies, in which a terrestrial model was forced by both future CO2 and climate. Since that time, many terrestrial models have been run under simulated future climates at regional (Vemap Members 1995; White et al. 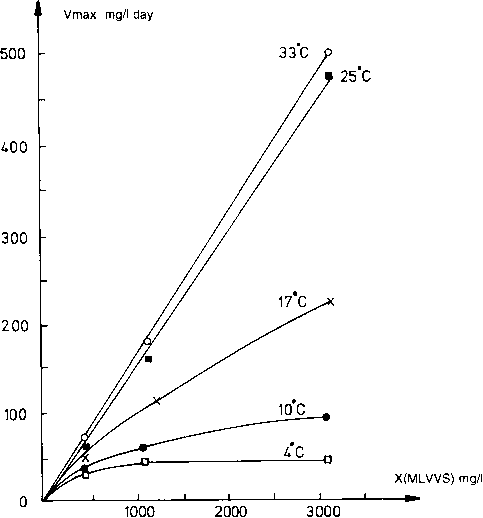 2000) or global scales (King et al. 1997; Cao and Woodward 1998; Cramer et al. 2001; Berthelot et al. 2002). Climate change generally causes a reduction in net biosphere uptake. This negative impact is generally greatest in the tropics, where higher temperatures and increased drought reduce plant productivity but increase heterotrophic respiration. In an extreme case, this process leads to a severe dieback of tropical forest, which further increases the carbon loss from the biosphere (Cramer et al. 2001). Temperate and high-latitude regions often increase carbon stocks in response to simulated climate change (Cao and Woodward 1998; White et al. 2000; Berthelot et al. 2002). The patterns of ecosystem response to climate change, shown in one recent study, project that tropical forest expands (Joos et al. 2001). Boreal trees, however, are partly replaced by temperate trees and grasses because of the warm winters and hot summers. This pattern may reflect a difference in climate forcing, with increased soil moisture in the tropics. Ocean studies generally show that the effect of climate change on ocean circulation and sea surface temperature tends to reduce the global ocean carbon uptake because stratification of the upper ocean increases as circulation slows (Maier-Reimer et al. 1996; Sarmiento and Le Quere 1996; Sarmiento et al. 1998; Joos et al. 1999; Matear and Hirst 1999; Friedlingstein et al. 2001). These studies were extremely important because they highlighted the potential for positive feedbacks from the coupling between the climate system and the carbon cycle. Reduced carbon uptake for both land and ocean should, with realistic coupling, translate into a higher atmospheric CO2 concentration. Two recent studies demonstrate the importance of this feedback using fully coupled climate—carbon cycle models. The Hadley (Cox et al. 2000) and IPSL (Dufresne et al. 2002) groups used Ocean-Atmosphere General Circulation Models (OAGCMs) to calculate future climate changes in response to an Intergovernmental Panel on Climate Change (IPCC) scenario of CO2 emissions. Atmospheric CO2 was calculated as the difference between the imposed emissions and the land and ocean carbon uptake, which was a function of the changing climate. Figure 10.2. Cumulative carbon budgets for the IPSL (top) and Hadley (bottom) coupled simulations. All numbers are differences from the preindustrial steady state. For the Hadley model, atmospheric CO2 is higher and the land sink is much smaller, becoming a source after 2080. For the IPSL model, ocean uptake is much larger. tions to replacement of tropical forests by savannas). In addition, the increased temperature leads to accelerated loss of soil carbon from increased respiration. This effect is limited to the tropics in the IPSL results but is worldwide for the Hadley output. cou unc where aT (aC ) and aT (aC ) are respectively the coupled and uncoupled cou y cou unc y unc' r / r r changes in temperature (atmospheric CO2), and g is the gain of the climate-carbon feedback (Friedlingstein et al. 2003). This gain is a function of the sensitivities of climate to CO2, carbon cycle to CO2, and carbon cycle to climate change. The sensitivity of the IPSL ocean carbon cycle to atmospheric CO2 is much larger than that of the Hadley model. Further, the sensitivity of the Hadley land carbon cycle to climate change is much larger than that in the IPSL model. This latter difference explains most of the difference between the simulations. In summary, large uncertainties remain in the carbon cycle, especially in the coupling of the climate and the carbon cycle. The few fully coupled studies to date reveal large gaps in our understanding of soil carbon dynamics, large-scale vegetation dynamics, and ocean circulation (especially in the southern oceans). Process studies based on manipulative experiments and long-term monitoring of carbon cycle components are critical for filling this gap. With our current knowledge, it seems unlikely that the future carbon cycle will act as a strong negative feedback on global warming. Berthelot, M., 1! Friedlingstein, 1! Ciais, 1! Monfray, J.-L. Dufresne, H. LeTreut, and L. Fairhead. 2002. Global response of the terrestrial biosphere to CO2 and climate change using a coupled climate-carbon cycle model. Global Biogeochemical Cycles 10:1029/2001GB001827. Betts, R. A., P. M. Cox, S. E. Lee, and F. I. Woodward. 1997. Contrasting physiological and structural vegetation feedbacks in climate change simulations. Nature 387:796-799. Bousquet, P, P. Peylin, P Ciais, C. Le Quere, P Friedlingstein, and P P. Tans. 2000. Regional changes in carbon dioxide fluxes of land and oceans since 1980. Science 290:1342-1346. Cao, M., and F. I. Woodward. 1998. Dynamic responses of terrestrial ecosystem carbon cycling to global climate change. Nature 393:249-252. Cox, P., R. Betts, C. Jones, S. Spall, and I. Totterdell. 2000. Acceleration of global warming due to carbon-cycle feedbacks in a coupled climate model. Nature 408:184-187. Cramer, W., A. Bondeau, F. Woodward, I. Prentice, R. Betts, V. Brovkin, I! Cox, V. Fisher, J. Foley, A. Friend, C. Kucharik, M. Lomas, N. Ramankutty, S. Sitch, B. Smith, A. White, and C. Young-Molling. 2001. Global response of terrestrial ecosystem structure and function to CO2 and climate change: Results from six dynamic global vegetation models. Global Change Biology 7:357-373. Dufresne, J.-L., P. Friedlingstein, M. Berthelot, L. Bopp, P. Ciais, L. Fairhead, H. LeTreut, and P. Monfray. 2002. 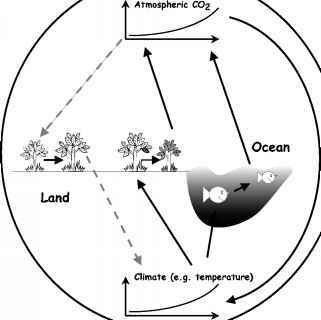 Effects of climate change due to CO2 increase on land and ocean carbon uptake. Geophysical Research Letters 29, 10.1029/2001GL013777. Etheridge, D., L. Steele, R. Langenfelds, R. Francey, J.-M. Barnola, and V. Morgan. 1996. Natural and anthropogenic changes in atmospheric CO2 over the last 1000 years from air in antarctic ice and firn. Journal of Geophysical Research 101:4115-4128. Field, C. B., R. B. Jackson, and H. A. Mooney. 1995. Stomatal responses to increased CO2: Implications from the plant to the global scale. Plant, Cell and Environment 18:1214-1225. Friedlingstein, P., G. Joel, C. Field, and I. Fung. 1999. Toward an allocation scheme for global terrestrial carbon models. Global Change Biology 5:755-770. Friedlingstein, P, L. Bopp, P. Ciais, J.-L. Dufresne, L. Fairhead, H. Le Treut, P Monfray, and J. Orr. 2001. Positive feedback between future climate change and the carbon cycle. Geophysical Research Letters 28:1543-1546. Friedlingstein, P, J.-L. Dufresne, P. M. Cox, and P. Rayner. 2003. How positive is the feedback between climate change and the carbon cycle? Tellus 55:692-700. Joos, F., I. C. Prentice, S. Sitch, R. Meyer, G. Hooss, G.-K. Plattner, S. Gerber, and K. Hasselmann. 2001. Global warming feedbacks on terrestrial carbon uptake under the Intergovernmental Panel on Climate Change (IPCC) emission scenarios. Global Biogeo-chemical Cycles 15:891-908. King, A., W. Postand, and S. Wullschleger. 1997. The potential response of terrestrial carbon storage to changes in climate and atmospheric CO2. Climatic Change 35:199-227. Maier-Reimer, E., U. Mikolajewicz, and A. Winguth. 1996. Future ocean uptake of CO2: Interaction between ocean circulation and biology. Climate Dynamics 12:711-721. Matear, R., and A. Hirst. 1999. Climate change feedback on the future oceanic CO2 uptake. Tellus 51B:722-733. Melillo, J. M., A. D. McGuire, D. W. Kicklighter, B. Moore, C. J. Vorosmarty, and A. L. Schloss. 1993. Global climate change and terrestrial net primary production. Nature 363:234-240. Murtugudde, R., J. Beauchamps, C. R. McClain, M. Lewis, and A. Busalacchi. 2002. Effects of penetrative radiation on the upper tropical ocean circulation. Journal of Climate 15:470-486. Petit, J., J. Jouzel, D. Raynaud, N. I. Barkov, J.-M. Barnola, I. Basile, M. Bender, J. Chappellaz, M. Davis, G. Delaygue, M. Delmotte, V. M. Kotlyakov, M. Legrand, V. Y. Lipenkov, C. Lorius, L. Pepin, C. Ritz, E. Saltzman, and M. Stievenard. 1999. Climate and atmospheric history of the past 420,000 years from the Vostok ice core, Antarctica. Nature 399:429-436. Raupach, M. 1998. Influences of local feedbacks on land-air exchanges of energy and carbon. Global Change Biology 4:477-494. Sarmiento, J. L., and C. Le Quere. 1996. Oceanic carbon dioxide uptake in a model of century-scale global warming. Science 274:1346-1350. Sellers, P. J., D. A. Randall, G. J. Collatz, J. Berry, C. Field, D. A. Dazlich, and C. Zhang. 1996. A revised land-surface parameterization (SiB2) for atmospheric GCMs. I. Model formulation. Journal of Climate 9:676-705. Shackleton, N. 2000. The 100,000-year ice-age cycle identified and found to lag temperature, carbon dioxide, and orbital eccentricity. Science 289:1897-1902. White, A., M. Cannel, and A. Friend. 2000. The high-latitude terrestrial carbon sink: A model analysis. Global Change Biology 6:227-245.